Jay Leno sat down with Oprah Winfrey on Thursday for an exclusive interview about what happened at NBC. (CNN) -- If you're looking for someone to blame for NBC's late-night horror show, take aim at the network, Jay Leno told Oprah Winfrey on Thursday in an exclusive interview. "It had nothing to do with me," Leno told Winfrey of NBC's decision to reinstall him as the host of "The Tonight Show," leaving Conan O'Brien out of a job as a late-night host. "There's always someone waiting in the wings in this business to take your job. If you're not doing the numbers, they move on. Pretty simple," he told her. Winfrey flew down to Leno's studio for an hourlong talk, rehashing the aftermath of NBC's messy programming moves. This interview is the first that Leno has granted since the imbroglio, and although he didn't lay into NBC in his late-night monologues the way O'Brien did, he was a bit more candid with Winfrey. "Anything [NBC] did would have been better than this," he said during the interview. "If they'd come in and shot everybody, it would've been, 'oh the people were murdered,' but it would've been only a two-day story. This was a huge mess." But finally, Leno said, the plan NBC proposed -- of moving O'Brien back half an hour to 12:05 a.m. to make room for a half hour of "The Jay Leno Show" -- was financial, not personal. "It all comes down to numbers in show business," Leno said. "This is the perfect storm of bad things happening. NBC had two hit shows, and you move them both to another situation. What are the odds that they both do extremely poorly? If Conan's numbers had been higher, this wouldn't have happened." To those who believed Leno was pulling strings behind the scenes to eject O'Brien in order to get his old job back, he said, "there aren't any strings to pull. I have a show that's been canceled -- I don't have any power to say, 'I want that.' "
Leno explained to Winfrey that when NBC came to discuss the low ratings and its decision to move his show out of the 10 p.m. time slot, he did ask if he could be released from his contract. NBC's response was that he was still a valuable asset. He said that when NBC gave him the option of doing his show at 11:35 p.m., he asked if O'Brien would agree to it, and NBC executives assured Leno that he would. Except the next thing Leno knew, O'Brien released a letter to the "people of Earth" refusing to move "The Tonight Show" back to 12:05, on the grounds that it would ruin the franchise. "But, if you look at the way the ratings were ... the ratings destroyed the franchise," Leno said with a shrug. Winfrey was frank about her surprise that so much of America has taken sides in the network's debacle, with many facing off against Leno. Did he believe he was taking away O'Brien's dream? "No, I didn't think that I was taking away Conan's dream," Leno said. "This was an affiliate decision. It's a matter of dollars and cents. They only asked me to come back after Conan turned down the deal." Leno said he was no stranger to the harsh reality of show business, as during his long tenure at NBC, he's also felt the brunt of network decisions. The situation was put into motion five years ago, Leno told Winfrey, when NBC came to him and said that they wanted O'Brien to take over on "Tonight" in 2009, and Leno would have to leave. "I was in my office, and one of the executives came and said, 'Listen, Conan's getting offers from other networks, we don't want to lose him, we want to give him the show, and we're asking you to leave,' " Leno said. "It broke my heart. I was devastated. This is the job that I always wanted, and it was the only job that ever mattered in [show business] to me." But Leno agreed to the deal, and he and O'Brien remained friends, talking often through the subsequent years. Leno admitted to Winfrey that he told a "little white lie" on television when he said he planned to retire, because actually, he thought he would move his show to another network. On Tuesday, Jeff Gaspin, NBC Universal Television Entertainment chairman, did say the decision to give Leno a prime-time show was primarily to keep him from going to ABC. Despite some of the expectations for "The Jay Leno Show" -- Time magazine called Leno "the future of television" -- it was a flop, and NBC executives now admit the decision was a mistake. In Leno's view, his decision to take the prime-time show wasn't selfish as much as it was an attempt to keep his staff of 175 employed. However, until the show was on the air, he didn't think about all of the other show business creatives who were put out of work because NBC wasn't going to use scripted dramas at 10 p.m. The "Leno" show, he said, faced stiff competition from the other dramas in the same time slot, and while he knew the ratings weren't so great, he never expected NBC to cancel "Leno" altogether. So when the network offered him a chance to do the job he loved, Leno said he took the offer not just because of his passion for it, but also because it kept his staff employed once again. "I'm upset that this wasn't handled better, but I don't know what I could've done differently," he said. "I always felt I was doing the right thing, but I would think, maybe I'm not, if this many people are angry and upset. I ask myself if I'm being selfish every day, but I don't think so. I like the job, I like all that goes with it, I fight for the people who work here. Is that selfish? Maybe it is, because it's self-aggrandizing." Could he have done what O'Brien did, make NBC hand over millions for himself and his staff? "I could've done that. But I didn't. 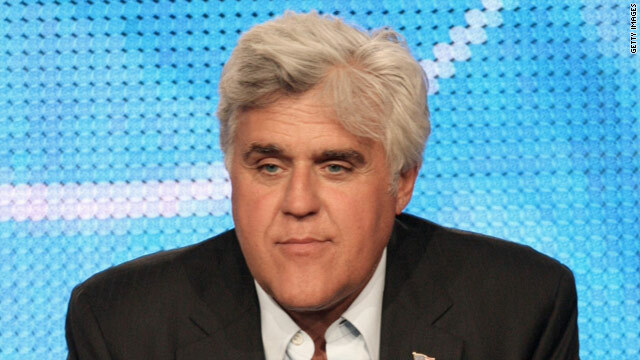 They offered me my old job back, which is the dream job," Leno said. Winfrey told Leno that she wanted to do the interview because she was so surprised about the backlash. "I'm really surprised so many people are against you. People don't understand the way television works," she told Leno. "I can understand people thinking you were selfish if you owned the show and controlled the show. It's surprising to me that people thought you stole the show when it wasn't your show to steal. It's owned by NBC." Leno agreed, adding that he had no intention to own "Tonight." Nonetheless, he said, "I did feel bad for Conan, it wasn't fair. But TV is unfair. It was unfair to me. I didn't cause this, it was the ratings." Leno is looking forward to the future, and he acknowledges that he and his "Tonight" staff have their work cut out for them. "There's a lot of damage control to be done," he said. "The only way to fix these things is to not be bitter, not be angry or upset, and just trying to do the best show you can." As far as his relationship with O'Brien, Leno said he hopes to have him on as a guest sometime in the future, although he's not sure if O'Brien would accept the offer. "I haven't talked to Conan through all of this," he told Winfrey. "I wanted to pick up the phone, but it doesn't seem appropriate. Let things cool down, and maybe we'll talk."